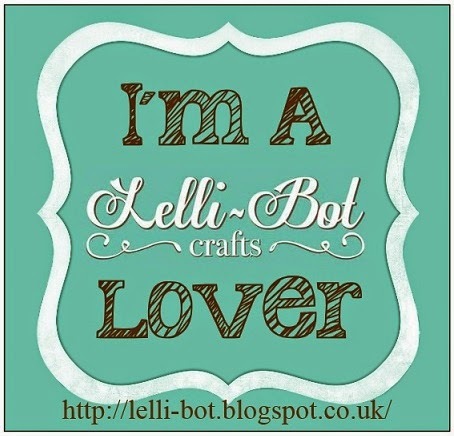 Lelli-Bot Crafts: Who Is Up For A Little Challenge? Hello everyone and thank you for following us via our blog. It has been a busy first month for us here at Lelli-Bot Lodge HQ. We have launched our first four kits which have received a great response and already have the next few kits designed and ready for release soon! 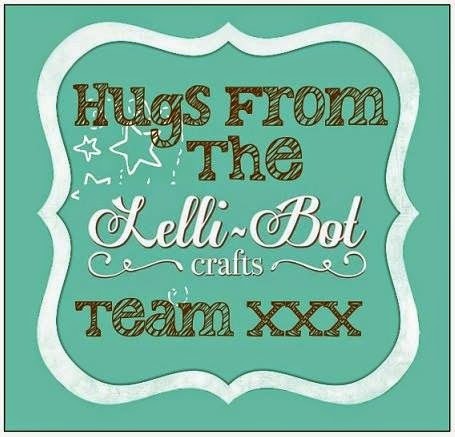 We have been steadily gaining support on our Facebook page and within our Lelli-Bot Lovers group and thank you to everyone who has contributed by sharing their makes and friendly chit chat. Our products can now be found on various online stores, craft shops and at craft fairs and these outlets are continuing to grow. Our digi store is almost ready for launch too! This month has also seen the launch of our amazing Design Team who have been working hard to make samples and designs from our products to help promote the company. Although the original Lelli-Bot Design Team has evolved and changed in the first few weeks, Helen, Lisa & Elaine are now a complete and united team. However, we do have some more exciting DT news…. during the month of May, we would like to welcome a Guest DT Member! Fancy giving it a go? Details can be found below. So, I would like to take this opportunity to thank everyone for their support so far and I just can’t wait to share some exciting news…. coming soon! So Sam and the Lelli-Bot Crafts Design Team would like to set a little challenge for you all. If you would like to take part in the challenge you will need to e-mail enquiries@lellibotcrafts.co.uk to request one of the following digital images. You need to specify whether you require the coloured or uncoloured image. Regardless of the image requested, it is for your personal use only and under no circumstances should be passed on or shared elsewhere online. You are required to follow this blog to be eligible to receive the digital image of your choice. Please blog your project and enter it on the linky at the bottom of this post. The challenge will run for two weeks, ending at midnight on Tuesday, 13th May. 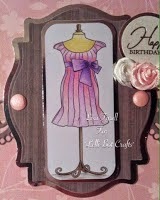 The winner of the challenge, chosen via Random.org will be announced on Wednesday, 14th May and will be offered the Guest Designer spot on the Lelli-Bot Crafts Design Team. 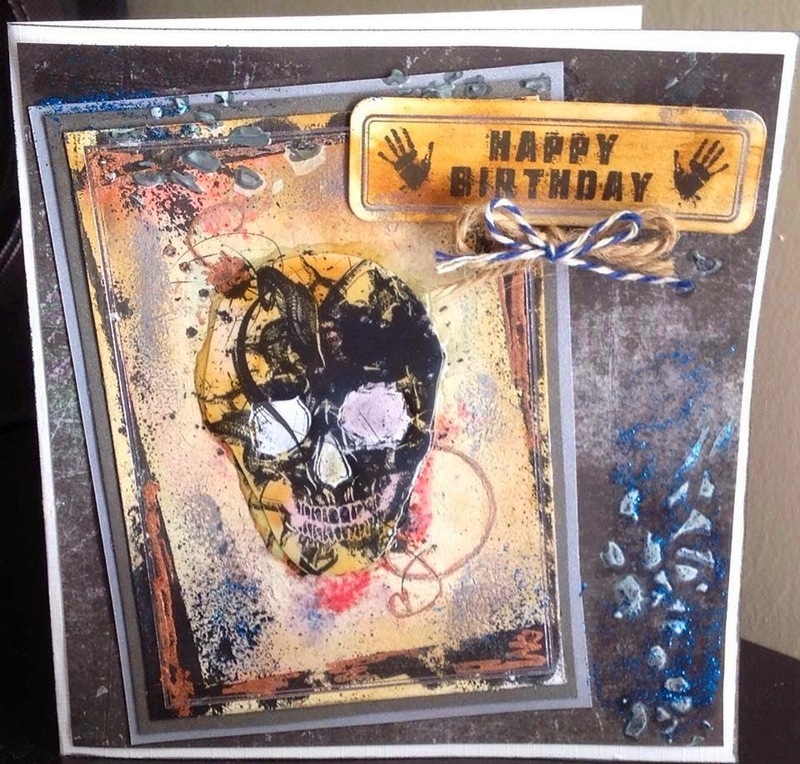 To show you what you can do with the above image, Lisa has made the following card. Now on to our regular feature - Make Of The Week! 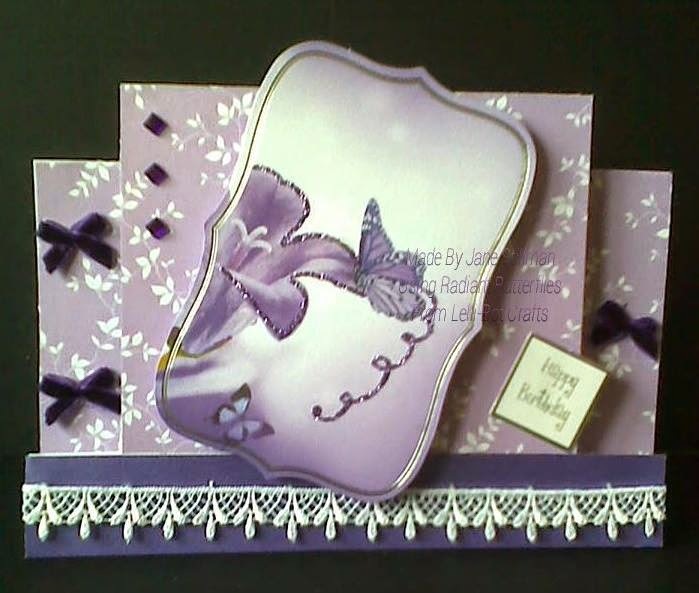 Our very worthy winner this week is Linda Simpson with this beautiful card using Radiant Butterflies. 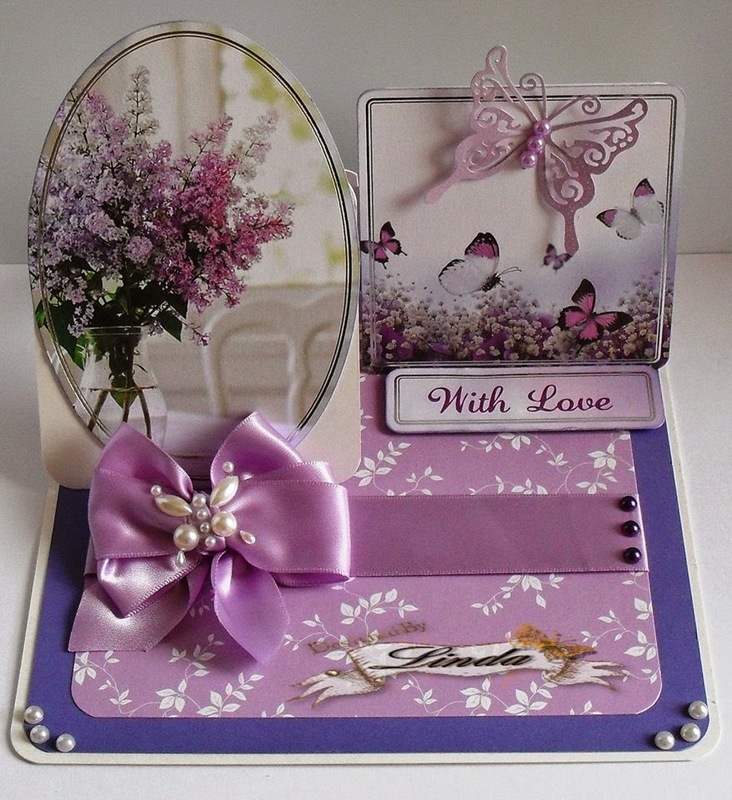 Linda's blog is full of inspiration, please take a look here. Linda please get in touch so that we can get your MOTW badge to you. No Design Team inspiration for you this week, instead a selection of Lelli-Bot Crafts customer's creations! Well that's all for this week, don't forget to add your challenge entries to the linky below. 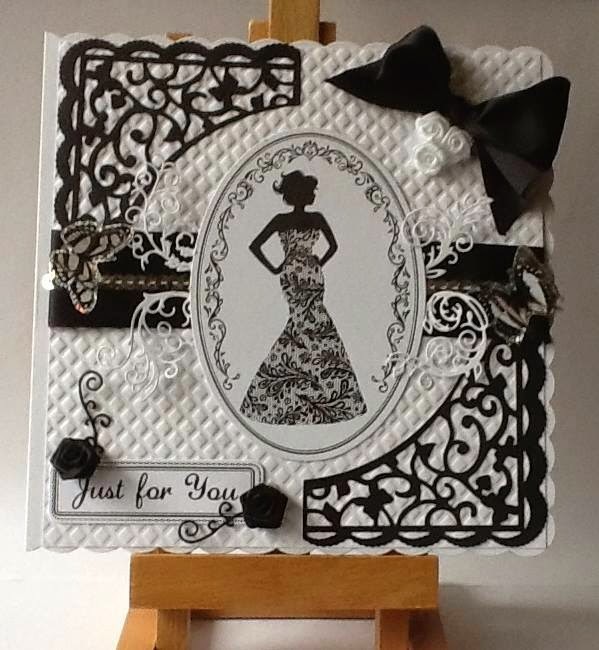 Gorgeous makes from the Lelli-Bot lovers...what a talented bunch you are!! Sam, amen to your words. We are now an amazing team, small but we work perfectly together and will get stronger and stronger!! Oh WOW I am over the moon you picked my card as MOTW. Congratulations to the other ladies too. 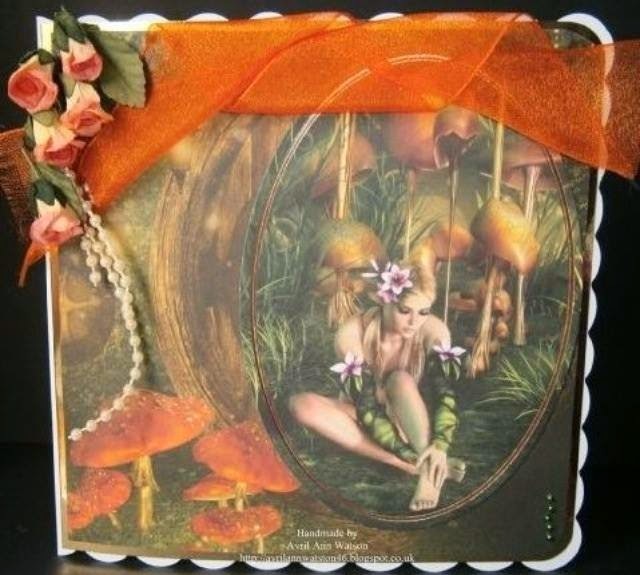 Message me on Facebook Linda with your e-mail address and I will send you your badge and well deserved - it't a great card. 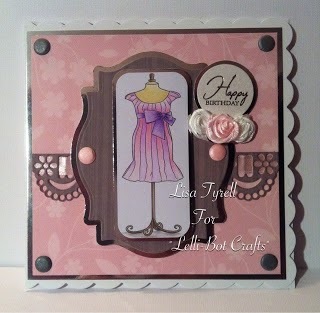 Congrats Linda, the card is lovely. I like that you used a separate photo/pic, it compliments everything else perfectly. There are some really great designs I'm seeing.